Take a stroll down our historic streets of modern fancy and experience the warm, charming, if eclectic welcome that is downtown Conroe. Excellent dining, live music and theater, festivals, shopping, and more await your discovery. 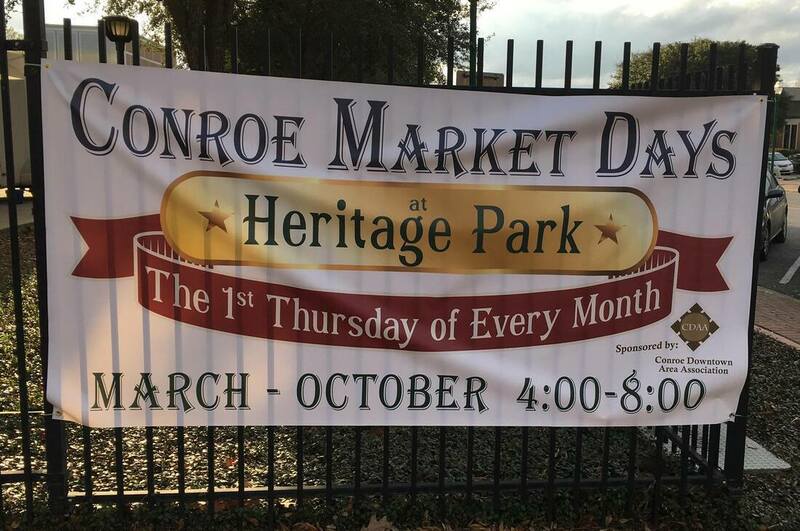 Whether it’s the arts, food, and shops or simply trading stories with fascinating locals, there’s just something about Historic Downtown Conroe that’s sure to steal your heart! 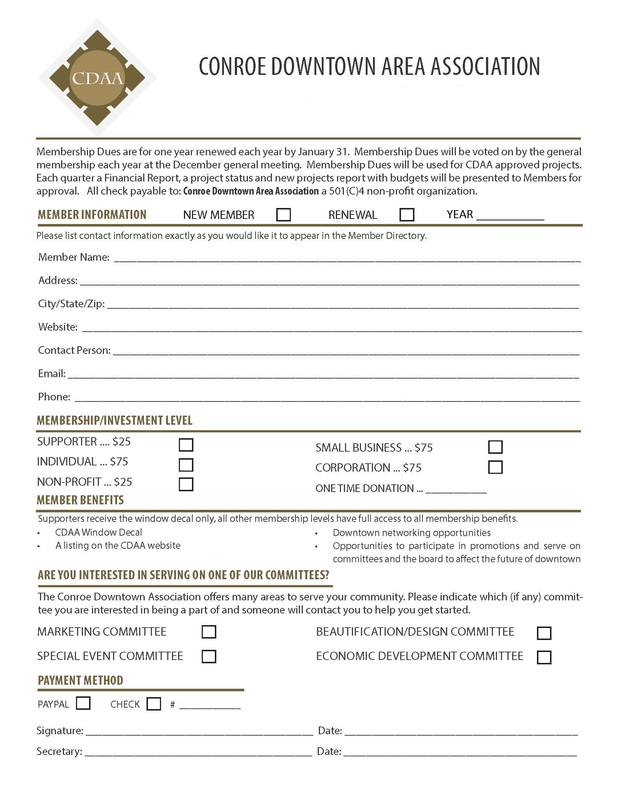 Become a member of the Conroe Downtown Area Association! You don't have to be a merchant! The Mission of the CDAA is to foster, promote, maintain, and encourage the civic, social, commercial, tourist, and economic welfare of the Downtown Conroe area. Our membership is open to anyone that has the interest in our mission. As a member you will receive a window CDAA decal, a listing on the CDAA website, Downtown networking opportunities and opportunities to participate in promotions, to serve on committees and board to affect the future of downtown Conroe.